Have you ever experienced the unexplained? Are you drawn to the strange and mysterious? 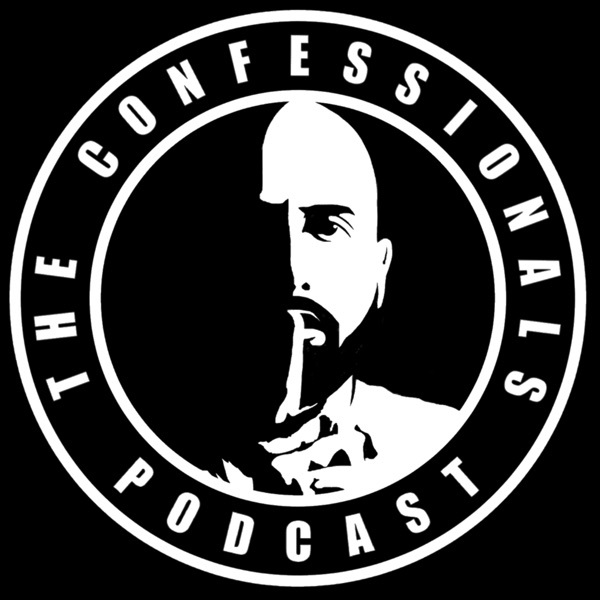 The Confessionals is a podcast where witnesses of the unexplained share their stories and encounters. Join host Tony Merkel as he explores the fringe side of life, from Bigfoot to UFOs to paranormal activity, and everything in between. We welcome you to join us as we delve into the unknown. For episode 121 we have Josh coming on to share when he came across a bigfoot as a teenager and at first glance he thought it was a gorilla. He then shares how he experienced some paranormal activity including a time when he experienced a ghostly entity go right through his body! Today is a bonus episode for a listener that recently lost his son unexpectedly this week in a tragic accident. Kevin has been listening to The Confessionals to help keep his mind clear and we thought it would be a good idea to give him some extra material to listen to while he and his family are mourning. On this interview we bring back Austin from episode 111, "The Abduction Cover-up" to talk about some newer developments of his memories of serving in a 20 and back program run by illuminati type organizations and extraterrestrials. Austin also shares with us some paranormal experiences he has had that may or may not have something to do with his abduction. For the next three weeks, 64 of our TOP-RATED EPISODES will compete to be crowned the ultimate episode champion! Round of 64 will be open for voting March 21-22. Round of 32 follows on March 23-24. Round of 16 takes place March 28-29. Round of 8 will be held March 30-31. Semifinals will be April 6. And the final EPISODE CHAMPIONSHIP goes down on April 8! The ultimate winning episode will be announced on social media and followed by a LIVE viewing party on Facebook! Visit theconfessionalspodcast.com to vote NOW! On episode 117 we speak with Jim Harold from the Paranormal Podcast and Alika from The Confessionals artistic design team! Jim comes on to share some of his spooky experiences that keep him going in the paranormal realm. Then we bring on Alika from Hawaii as he talks about seeing a gorilla man in his house, dopplgangers, evil reflects, shadow kids and much more! Episode 116: Serial Killer John Gacy - Life After Death releases 3/12/19 at 3am EST! Also on iTunes, Google Play, Spotify and Stitcher! Merry Christmas everyone! We teased this episode on last weeks show where we played a clip of our interview with James! We are very excited for you to hear some of James’ encounters with the demonic. These stories involved him and his wife as they progressed through their spiritual walks. As they progressed they uncovered some deep dark demonic entities lurking in the dark ready to pounce! James shares these stories and how he and his wife overcame there evil circumstances. We have a jam packed show for you on Episode 102! First, we play audio from “Ground Zero with Clyde Lewis,” in which Clyde and a caller discuss The Confessionals and Episode 91: The Alien Abducted Time Traveler. Then, we bring on Diane Student from the “History Goes Bump” podcast. Diane tells of her own paranormal experiences, and shares her most favorite historic places that she’s featured on her show. After speaking with Diane, we play a new audio version of our blog post, “The Confessionals Exclusive: Are Old Legend Giants Living in the Modern Day World?”, written by Tony’s wife Lindsay, and narrated by David HaLevy of the “Jew and Gentile Podcast”! The blog shares accounts of giants and Nephilim throughout history, and discloses some insider information about giants in living Afghanistan. Lastly, we bring on guest David to share his run-in with the Hatman, and an encounter he and his family experienced with what they believe was an angel. Enjoy the very full show! Episode 97 is coming and episode 96 has gone! Episode 100 is right around the corner so listen now to hear all the latest details that you need to know! Happy Halloween! Today on our Halloween special edition, guest Kasey shares some extreme activity she experienced at her home that left her family terrorized! From footsteps walking on her roof, to seeing door knobs turn, to the police running away screaming for her to call a priest... Kasey has one of those stories that will leave your jaw on the floor! Beware of the roof walker! What happened on Episode 94? Find out now! On Episode 88, guest Hannah describes her experiences of “something” following her - for her entire life. Beginning with voices and footsteps in the attic of her California house to a black mist manifesting in a room in Nevada, Hannah has encountered something in her own home, her mother’s home, and many places in between. Is it paranormal? Supernatural? Whatever it may be, it has been following Hannah for a long time, and it isn’t done yet. THIS SUNDAY, August 26th @ 3PM EST!!! We hear of winged serpents showing up all over the world. They show up in all sizes and colors while putting the fear of God into most people. But what if these things showed up inside your home? Would they still be considered a cryptid or more of a paranormal encounter? Tonight we bring on Shawn to tell of his experience with a winged serpent one night inside his home! On this special crossover episode with Wes Germer (host of Sasquatch Chronicles) and Tony, they discuss, remember and celebrate the life of a man that inspired generations. Join Tony and Wes as they tip their hats to Art Bell, the sole reason they are able to host the podcasts they host. This week The Confessionals is having a special follow up show on the Vegas massacre. We will be bringing Dr. Rick Ardito back on the show to discuss some of his research into the life-changing night he experienced on October 1, 2017. We will be discussing many different topics that the doc has uncovered as he started down the rabbit hole seeking truth and answers. This will be a more light-hearted show as we will be joined by Alika Spahn Naihe (our Graphic Design Coordinator) from Hawaii who connected the doc and myself less than a week after the shootings. Patreon: www.patreon.com/TheConfessionals Website: www.theconfessionalspodcast.com Email: theconfessionalspodcast@gmail.com Facebook: www.facebook.com/TheConfessionalsPodcast Twitter: @TConfessionals Tony's Twitter: @tony_merkel This episode title was gotten from Ground Zero's Clyde Lewis. In Episode 32, we welcome Steven to the show to share his extremely close encounter with a UFO in 1981. Along with very detailed descriptions of his UFO experience, Steven also reveals his encounters with poltergeist activity and ghostly images.? Website: www.theconfessionalspodcast.com Email: theconfessionalspodcast@gmail.com Facebook: www.facebook.com/TheConfessionalsPodcast Twitter: @TConfessionals Tony's Twitter: @tony_merkel Tony's Instagram: tony_merkel Tony's Facebook: www.facebook.com/tbmerkel Outro: StreamLineV2: https://www.youtube.com/watch?v=PvwxfcS-CW0? On Episode 29, we welcome David to the show as he shares his experiences being visited by different entities, both as a child and as an adult. Website: www.theconfessionalspodcast.com Email: theconfessionalspodcast@gmail.com Facebook: www.facebook.com/TheConfessionalsPodcast Twitter: @TConfessionals Tony's Twitter: @tony_merkel Tony's Instagram: tony_merkel Tony's Facebook: www.facebook.com/tbmerkel Outro: Wax Audio - https://www.youtube.com/watch?v=jiH1wNmZTII? Episode 28 features Riley sharing some of his strange encounters: a blue orb that appeared during Hurricane Sandy, and the apparition of a little girl that he encountered while investigating a haunted hotel with Joe Chin from “Ghost Hunters International” and Brian J. Cano from “Scared”! Website: www.theconfessionalspodcast.com Email: theconfessionalspodcast@gmail.com Facebook: www.facebook.com/TheConfessionalsPodcast Twitter: @TConfessionals Tony's Twitter: @tony_merkel Tony's Instagram: tony_merkel Tony's Facebook: www.facebook.com/tbmerkel Outro: Kill_mR_DJ - https://www.youtube.com/watch?v=Pxuc8Iy93mY? Episode 26 features Alta and Chad Dillard in Part Two of a two-part show. During their interview, Alta and Chad recall a bizarre night they experienced in the French Quarter of New Orleans when both they and a friend were abducted. After they awakened in their own homes, no one had the same story to tell. BUY ORBDUCTED by Alta and Chad Dillard: https://www.etsy.com/listing/539922009/orbducted-in-the-french-quarter Orbducted Facebook page: https://www.facebook.com/ORBDUCTED Website: www.theconfessionalspodcast.com Email: theconfessionalspodcast@gmail.com Facebook: www.facebook.com/TheConfessionalsPodcast Twitter: @TConfessionals Tony's Twitter: @tony_merkel Tony's Instagram: tony_merkel Tony's Facebook: www.facebook.com/tbmerkel Outro: Kill_mR_DJ - https://www.youtube.com/watch?v=c_7cpF51jiY&index=64&list=WL? In Episode 23, guest Nate shares an assortment of experiences with hauntings, UFO sightings, and a curse placed upon his church. Website: www.theconfessionalspodcast.com Email: theconfessionalspodcast@gmail.com Facebook: www.facebook.com/TheConfessionalsPodcast Twitter: @TConfessionals Tony's Twitter: @tony_merkel Tony's Instagram: tony_merkel Tony's Facebook: www.facebook.com/tbmerkel Outro: Kill_mR_DJ mashups - https://www.youtube.com/watch?v=9148gmJledk? Episode 22: "It Looked Like I Had a Handprint On My Throat." In Episode 21, Jim Wilhelmsen, author of Beyond Science Fiction, discusses his personal alien abduction experiences, the Bible’s connection to the Hollow Earth Theory, and more captivating content from his book. Website: www.theconfessionalspodcast.com Email: theconfessionalspodcast@gmail.com Facebook: www.facebook.com/TheConfessionalsPodcast Twitter: @TConfessionals Tony's Twitter: @tony_merkel Tony's Instagram: tony_merkel Tony's Facebook: www.facebook.com/tbmerkel Outro: DJ Schmolli - Rock Of Ages: https://www.youtube.com/watch?v=K-8Rd9QBlJI? Jim Wilhelmsen's website: http://www.echoesofenoch.com/? Jim Wilhelmsen's book on Amazon: https://www.amazon.com/Beyond-Science-Fiction-Jim-Wilhelmsen/dp/1440104719? Episode 20 features two guests! In the first segment, author Timothy Renner discusses his new book, “Bigfoot in Pennsylvania.” In the second segment, Mike- a previous guest on Sasquatch Chronicles- shares a group Bigfoot encounter from his vantage point, and how this encounter has affected him. Website: www.theconfessionalspodcast.com Email: theconfessionalspodcast@gmail.com Facebook: www.facebook.com/TheConfessionalsPodcast Twitter: @TConfessionals Tony's Twitter: @tony_merkel Tony's Instagram: tony_merkel Tony's Facebook: www.facebook.com/tbmerkel Outro: DJ Eric ILL: https://www.youtube.com/watch?v=3XeI9H2__gM Sasquatch Chronicles EP 248 "Becarful What You Wish For": https://sasquatchchronicles.com/sc-ep248-be-careful-what-you-wish-for/ Timothy Renner's NEW Book Bigfoot In Pennsylvania: https://www.amazon.com/Bigfoot-Pennsylvania-Wild-Men-Gorillas-Monsters/dp/154551397X? In Episode 19, Kasey shares her experiences with hauntings throughout her life, which all seem to be related to her mother’s involvement in witchcraft and possession by a demon. Website: www.theconfessionalspodcast.com Email: theconfessionalspodcast@gmail.com Facebook: www.facebook.com/TheConfessionalsPodcast Twitter: @TConfessionals Tony's Twitter: @tony_merkel Tony's Instagram: tony_merkel Tony's Facebook: www.facebook.com/tbmerkel Outro: DJ Cummerbund - https://www.youtube.com/watch?v=FuOuUixdSvY&list=WL&index=38? In Episode 12, we have a new segment produced by a special guest! For our main interview, we talk with Chris about strange incidents in his life, beginning with Bigfoot activity, multiple sightings of UFOs, a “Gray” alien in his bedroom, and finally, an out-of-body experience that left him shocked and scared. Website: www.theconfessionalspodcast.com Email: theconfessionalspodcast@gmail.com Facebook: www.facebook.com/TheConfessionalsPodcast Twitter: @TConfessionals Tony's Twitter: @tony_merkel Tony's Instagram: tony_merkel Tony's Facebook: www.facebook.com/tbmerkel?